While there is no doubt that chocolate is the best pick-me-up around, it has always got a bad rap for being full of calories and fat. Chocolate has also been considered one of the culprits for bad skin as too much consumption can lead to acne and skin blemishes. Of late though, the view on chocolate massage for the skin has taken an about turn. High-end spas all around the world have introduced the latest in skin care – chocolate spa treatments! From soothing chocolate massages and body wraps to indulgent chocolate facials and invigorating chocolate body scrubs, suddenly chocolate is everywhere. Using cocoa-based creams, lotions, and oils, you can now choose to get your chocolate fix without the calories. 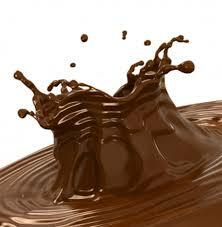 Rich in anti-oxidants – The darker the chocolate, the more powerful are the antioxidant properties. It is also important that you choose your creams and lotions carefully before you begin using them. Products that contain more than 35% of pure cocoa are more effective when it comes to revitalizing the skin and giving it a plumper and firmer feel. Antioxidants also help increase the level of collagen and elastin in the skin and thereby reduce the effects of aging. Fine lines and wrinkles can be treated with regular chocolate treatments as antioxidants lessen the damage caused by free radicals in the body. As a moisturizing agent – Cocoa butter contains high amounts of natural oils and emollients necessary for treating dry, rough and flaky skin. A chocolate massage or chocolate body wrap using a cocoa-butter based massage cream will help remedy rough skin especially on those stubborn spots such as the elbows, knees and feet. The higher the percentage of cocoa butter in the lotion or cream, the better moisturized the skin stays long after the treatment is over. Good for health – Studies have shown that eating a small bit of dark chocolate every day can improve your cardiovascular system, and help prevent atherosclerosis and chronic fatigue due to its antioxidant properties. Chocolate also has the power to improve a person’s mood and cause feelings of euphoria. Even the smell of chocolate can accomplish this positive effect on the brain; making chocolate massages an ideal way reap the health benefits of without any of the guilt associated with eating too much chocolate. Good for cellulite – Chocolate contains theobromine that helps burn fat and get rid of cellulite. A chocolate massage or chocolate body wrap helps work the chocolate-based lotion or oil into the skin for the best results. Calming effects – Who hasn’t calmed down after biting into a chunk of chocolate? In much the same way, a chocolate massage helps reduce stress and tension and eases tight and sore muscles. Mix together a quarter cup of cocoa powder with one cup of shea butter and a quarter cup of chamomile oil. You can use a blender for this to get a nice smooth consistency. Mix till the lotion is smooth and free of lumps. If you would like it thinner, add some more oil. If you prefer a thicker cream, add some more shea butter. Make sure that the shea butter is at room temperature for the best results. Pour this lotion into a jar with a tight lid and store in a cool dark place. Use to massage into the skin or as a moisturizer. It is gentle enough for everyday use. Thanks also to Everyday Health for this wonderful chocolate massage post. 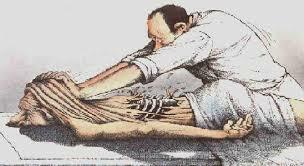 Massage therapists are in a position of being of help to their clients. The purpose of this post is not to go into the benefits of massage – but to consider, or at least be open to, how your massage clients help you. Massage clients help me in many ways: 1) by being clients upon whom I can practice my skills, 2) by allowing me to practice my art on them, 3) – and of course they’re the source of income for Massage Professionals of Jackson Hole which is why, really, we’re all doing this in the first place. But most of all massage clients help me by helping me tune into the body of another – which takes full concentration and focus. To massage another person is to perform a type of meditation. Some people (like me) find it hard to find time to simply meditate for even a short session at home – therefore if I can find it while I’m at work, then that’s a great bonus for me, it helps me help my massage clients – and it’s how my massage clients help me. So, if after skiing those wonderful ski slopes at Jackson Hole Mountain Resort, you feel like having a nice deep relaxation massage – come on in and get some help – and while you’re at it, you can help me. Come to think of it – it’s a symbiotic relationship – and why not? – that’s the way a business relationship should be, especially in the world of body and mind work. A massage can be especially beneficial if both client and therapist get into the meditation zone together. What on Earth is a listening massage? When you go to your massage therapist for a massage, the entire session from intake to goodbye is about you – the client. You want, and are paying for, your massage therapist’s full attention. This means not only the attentions of my physical massage upon your body – but also a listening ear. Therefore I mentally prepare myself to listen to words as well as what the body is telling me. I call it a Listening Massage. You may need more, you may need less. But whatever it is, your massage therapist’s good listening ear will make your massage extra meaningful – and it’s a good business move for the massage therapist as it can make regular customers out of first-time clients. That’s what we try to do at Massage Professionals of Jackson Hole. With the massage intake form filled out, it is of course normal and customary to review what you want from your massage – especially if you are a first-time client with this therapist. Whilst the massage therapist will generally repeat the information on the intake form back to you, it is important, at this time, to ask questions and make comments where appropriate. This is where the Listenint Massage starts – not on the massage table. 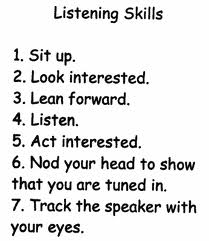 You should be doing most of the talking. If you have certain specific reasons for wanting a massage, you should find your massage therapist listening, empathizing, and showing understanding of what you are saying – but without saying too much. I had a client, a young lady, who warned me that she had badly bruised her Coccyx about three months previously – and that it still hurt. Well, that was very interesting to me as I had had that exact same injury earlier this summer. I asked her how it happened (MOI, Mechanism of Injury, could be important knowledge to the massage) and she told me that she had fallen on (not off) her bicycle – and landed on the rear wheel hub with her Coccyx. Well – my goodness – there’s an incredibly strange coincidence – that’s exactly how I suffered my own injury. So in fact there was quite a conversation I could have had with her. I could have gotten into the whole story of how this same thing had happened to me and all such other time-wasting small-talk. But the that would have been about me! – And how could this possibly have helped or contributed to the massage or the way I would give the massage? Not one little bit. I remembered to make this a Listening Massage. So of course I made empathizing noises, said ‘Ouch’ to show that I, as a massage professional, understood the nature of the pain of an injured Coccyx, and left it at that. Therefore she got to do 95% of the talking at the time of discussing the intake form, and I’m sure she felt satisfied that she had been listened to. And after all, what is it we’re after if it isn’t a satisfied customer? But once you’re in the room with your massage therapist, in my view – this is where the chat stops and the listening massage becomes more about the massage therapist listening for breath and ‘listening’ by feel, to your body as the changes occur while the massage gets its rhythm. There will be more about that in later posts. 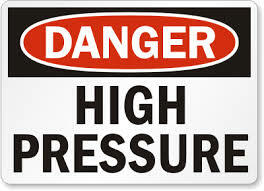 How much pressure is used also refers to the circumstances and type of massage you are looking for. For example, I work in spas in Jackson Hole, and travel to out-call appointments, where clients are mostly looking for relaxation massage with some specific thrown in – such as ‘tight shoulders, neck and upper back’. These tend to be ‘one-time’ clients – looking for a bit of feel-good pampering while on vacation (and many people find that vacation is very stressful). When I am a sports therapist working on a specific problem with an athlete whom I see weekly in our office, that’s a whole different context, where how much pressure is used is arrived at in a whole different way: the clients needs have been assessed in previous sessions, and a plan has been developed. In writing in a massage blog about how much pressure to apply , there’s a whole lot of peripheral information that needs to be considered – all the way from that silent, energy-filled ‘communication’ with the client on the table, to the much more physical aspects of the therapist’s size, weight, strength, experience with skills and knowledge of anatomy. And there’s a feeling that grows from the first moment of touch. Once I have the client comfortable, warm, secure, and have done some over-the-drapes work and good warming strokes – I’ll get down to the business of massage and figuring out how much pressure to apply, and when and where. I use my senses as I move along slowly sensing how much pressure to apply in whatever stroke is appropriate for that moment. By this time I have found the right amount of oil to suit the client’s skin type and depth of massage they’re capable of handling. More oil means a lighter massage, less oil means deeper – it all has to do with the enabling or the curtailing of the speed of the stroke. With more oil, you’re going to zoom along the surface of the muscle, not spending much time there. Less time means less pressure. So the question of how much pressure really means much more than putting a check in a box on an intake form – it’s an opportunity for a discussion with your massage therapist. And as you have this discussion, you’ll find that your therapist is gathering a whole lot more information than just about how much pressure you would like – an overall idea of your massage is forming in your therapist’s mind. 1. Poor body image and eating disorders. Depression, social pressures regarding appearance, and participation in sports where leanness is valued (such as gymnastics, wrestling, and diving), are all associated with the development of eating disorders. 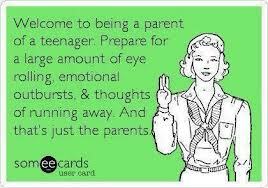 Needless to say, high school provides ample opportunity for all of these. Studies done at the Touch Research Institute with women who struggle with either anorexia nervosa or bulimia showed that regular massage decreased anxiety levels, increased levels of the feel-good hormone dopamine, and reduced depression scores. Participants in the study also showed better scores on the Eating Disorder Inventory, indicating better body awareness. 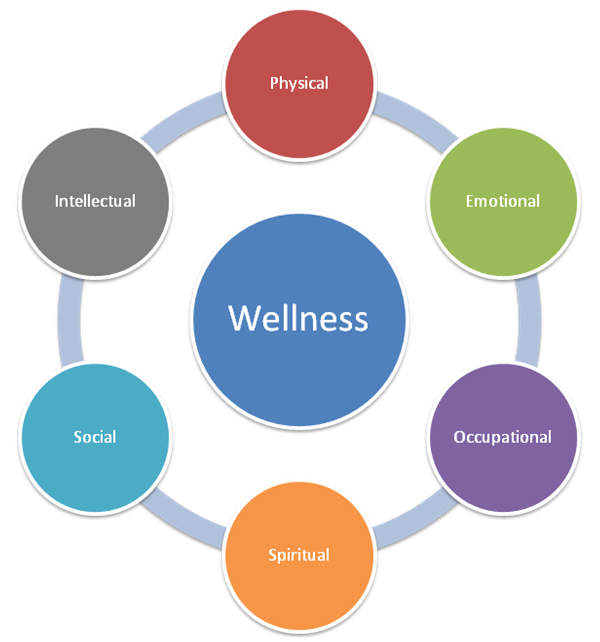 While counseling is obviously of paramount importance, massage therapy can be a powerful adjunct to other forms of treatment for eating disorders. It’s just another example of how teenagers benefit from massage. Teenagers living in Jackson Hole, or those visiting the Tetons, are not exempt from these health and mental concerns, so regular massage therapy with companies like Massage Professionals of Jackson Hole should be a part of life. 2. PMS and menstrual pain. What’s worse than menstrual problems? Menstrual problems when you’re a teenager. Between the irregular cycles, the inexperience with managing symptoms, and the embarrassment about getting help, adolescence can be a rough time to have a uterus. Effective treatments like hormonal birth control can have negative social connotations, and require a pelvic exam to obtain, a procedure that most teen girls have yet to experience and may wish to avoid. Yet once again it has been shown that female teenagers benefit from massage as it has been shown to help with pain, anxiety, and feelings of depression related to PMS, as well as other symptoms like water retention. Girls can also benefit from learning self-massage techniques to use when experiencing menstrual cramps on a day-to-day basis. While high school athletes are injured at around the same rate as professional athletes, their growing bodies mean that they’re often injured in different ways. Since bones grow before muscles and tendons do, youth are more susceptible to muscle, tendon, and growth plate injuries. Sprains, strains, growth plate injuries, repetitive motion injuries, and heat-related illness are among the most common injuries among young athletes. Boys are most likely to experience athletic injuries while playing ice hockey, rugby and soccer, while soccer, basketball and gymnastics lead to the most injuries in girls. Sports massage has a long history, and can be especially effective when dealing with repetitive motion injuries like tennis elbow and runner’s knee. Massage therapists are now found at every kind of sporting event, from the Olympics all the way down to your local 10K. Given that teen athletes can be more vulnerable to injury and overuse than their adult counterparts, it makes sense to offer them the same opportunities for healing and pain relief. Do you know a teen who could use a massage? Go to www.MassageProfessionalsJH.com today and book your massage online. Please see our weekly newsletter No.5 for more massage news. Inside Jackson Hole is this weeks post – and it has to do with a few of the things to do ‘inside’ if you’re visiting Jackson Hole and the weather isn’t cooperating with your outside plans. There are wonderfully tasty eateries – from simple ‘great food’ cafes, like Cafe Genevieve, Lotus Organic Cafe, and Cafe Boheme; and more conventional restaurants like Bubba’s and the Virginian Restaurant; and then there are the high-end places like Snake River Grille, the Granary at Spring Creek Ranch, and the Blue Lion – but all that eating will be for later Jackson Hole food in my blog posts. This is about entertaining yourselves when the weather is poor. The first inside Jackson Hole activity to spring to mind is the National Museum of Wildlife Art – which is a must-visit Jackson Hole attraction – even in fine weather. There’s a permanent fine art collection that lives in the NMWA – that alone could keep you going for a day; and visiting exhibitions are ‘Western Visions‘, through October 26th., ‘The Odd Couple‘ – a New Pairing of Thought-Provoking Art – through December 31; ‘Tusk Horn, Flesh and Bone‘ by Graphic Designer Asher Jay, through January 18, 2015; ‘From Stone to Glass‘ Wildlife Sculpture in Multiple Media, through April 19, 2015. Something for the kids? Well – there’s the Teton County Recreation Center to consider as inside Jackson Hole. 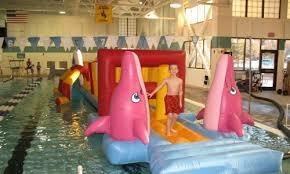 There’s a lap pool, hot tub, steam room, dry sauna, kids pool, a large flume slide and a little one for toddlers. A couple of large gyms for playing organized sports are there if you can join a basket ball league for the day – and there are toddler play days there as well. Do check the pool schedules as local swim teams and other activities can make it unavailable. 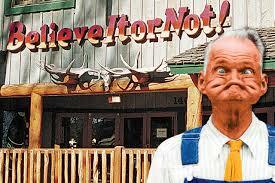 Something else for the kids inside Jackson Hole is Ripley’s Believe It or Not. Now – believe it or not – I’ve never been in there – but it is one of Jackson’s iconic businesses, right by the Jackson Town Square – so it must be good – right? And last but not least – back to the adults – another inside Jackson Hole activity is…MASSAGE. Ah yes – getting a massage when the weather is less than optimal makes so much sense. There are many massage companies to choose from, in addition to our very own Massage Professionals of Jackson Hole. There’s the Banya Day Spa, Jackson Hole Massage Therapy, Bliss Bodywork, the Harmonic Spa – to name a few. 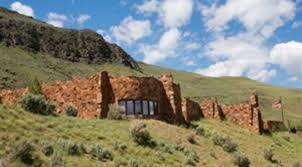 At the resorts, there’s Sena Spa, the Wilderness Adventure Spa at Spring Creek Ranch, and the Amangani Spa. At Massage Professionals of Jackson Hole, we offer couples massages in the comfort of our office at 270 Veronica Lane, Jackson, WY 83001 – and we will also come to your home or vacation residence. We hope you enjoy your time – inside Jackson Hole. Let’s face it – the ultimate key to happiness is your level of fitness and wellness. Fitness is the essence of life, wellness allows you to get on with things. There’s absolutely no point in having a lot of ‘stuff’ if you don’t have fitness and wellness. Money won’t buy you those things. Fit and well are kind of the same thing. You can’t really be one without the other. 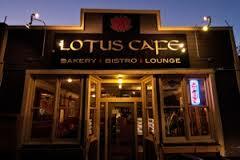 therapist in Jackson Hole has completed the fitness and wellness circle for me even more. The mental part of it follows naturally. You begin to feel GREAT! Then you become that and it feels even better – and a cycle starts…you feel better because you eat well and keep up your fitness – so you do those things more – so your mental state gets better – and everything feeds everything else. It can be hard to get started. I’m not a nutritionist, but generally lots of fresh fruit and vegetables, uncooked and unprocessed foods are best. Low fat is crucial (but not ‘no’ fat) and I prefer not to eat meat for reasons that go beyond diet and involve factory farming. When you keep fit, your body will crave certain nutrients – listen to your body and it will come to you what will be the ‘right’ thing to eat to make up those nutrients. Another thing…don’t overeat! Enough is enough. If you are satiated – don’t eat any more just because it tastes good or is on your plate. Eat what you need. It’s best to ‘graze’ slowly through the day than eat large meals. For breakfast, try a healthy multi-grain toast with natural peanut butter (contents: 100% peanuts) and slices of banana – with tea. Lunch is a great time to eat salad with lettuce, spinach, sliced, pickled beets, garbanzo beans (for protein), Sunflower seeds, raisins, broccoli florets, red pepper, avocado and sprinkled with goat cheese. A great dinner to finish off the day would be grilled salmon with lemon juice, lemon-pepper seasoning and butter. Accompany that with a baked sweet potato and some scalded asparagus spears….yum! Be well, Hamish and Rochelle. 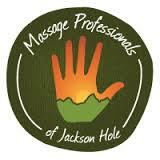 For our millions of readers here at the Massage Professionals of Jackson Hole blog – you may have noticed several changes in direction with this blog. At first there was the stumbling, fatalistic – nobody-reads-this-anyway-and-I’d-rather-be-skiing – sort of attitude where, as long as I interjected relevant keyword phrases on a regular basis – it would do…right? And now, most recently, I’ve been advised to become a travel resource for in-coming visitors and tourists to Jackson Hole and the Teton area – perhaps even the state of Wyoming…wow – a tall order – but it seems like a great idea – thus the last three blog posts about things to do in Jackson Hole. All for the sake of improving our web site’s position on Google and other search engines. So – what am I supposed to do? What is best to write about that keeps me sane; will contain the essential keywords; will interest the (millions of) readers; and yet stick to some logical, reasonable theme? Well – Rochelle and I were out for a walk yesterday and we decided to blanket the whole thing in a tag-line for the blog: “Blogging about all things Massage, and all things Jackson Hole.” What do you think of that? 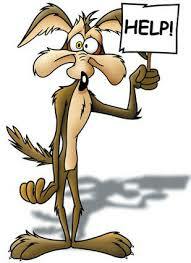 And you know what – I even think I’ll just write about what I darn-well please. With regular clients to the office – we get to know who they are and what their need for massage is based on. We start to get a history, write SOAP notes about their visits – and the ‘P’ in SOAP is ‘plan’ which we can make, together with the client. If a client doesn’t have any specific complaints or ‘work to be done’ – then that’s OK – a relaxation massage is just as beneficial and we get to know how to deliver that the more often we see a person. 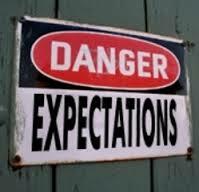 On the subject of this post – ‘Expectations’, it’s a much easier task to provide a client’s expectations with regular clients. My point is that most massage therapists are very capable of giving a darn good overall massage – from relaxation to deep tissue – all over the body and applying specific work to specific areas as requested. But before a massage therapist can really deliver exactly the specific massage the client wants / needs – there has to be knowledge, trust, understanding, confidence built up between the two and that takes time. If you are a one-time client visiting a massage office or having them come to you, it’s good to have an understanding of this and lower your expectations. Of course, it’s important to list the areas where you feel you’d like attention – and the therapist will fit that into the overall massage – but with 60 minutes in which to work their magic, understand that there may be limits and allow for the ‘relaxation’ part of massage to be just as beneficial as specific work. Yes, those were my client’s actual words. And, believe me, for the first hour of this two-hour massage – that’s precisely what I thought I had been doing…and exhausting myself in the process. I should qualify that – and I explained this to my client before he got onto the table – it can’t ‘all’ be deep tissue massage. 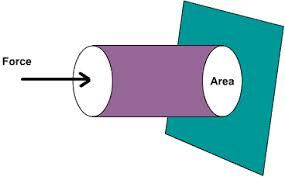 Perhaps a third of it will be – and then only in areas that merit deep work (in my view) and aren’t ‘danger zones’ (poplietal, lower back, for example). The other two thirds of the time consist of gentler work where, first, I am bringing the client into a comfortable relaxed zone in both body and mind – this in order for me to gain ‘permission’ to go deeper. To the same goal I am also warming with vibration, loosening with tapotement, assessing and ‘melting’ muscles with both soft and more aggressive effleurage and sometimes still pressure. This post is a continuation of the previous post ‘Taking it Easy’ – and the client has skied a combined vertical of 30,000 ft. that day at Jackson Hole Mountain Resort. Having employed a mountain ski guide in uniform – he didn’t have to wait in lift or tram lines. This client is an athlete through-and-through – every muscle an element of a highly-tuned machine. A body-builder and a TRX exerciser. He has every right to ask for a deep tissue massage and frankly I was apprehensive going into it. He is accustomed to receiving sports massages from his sports trainer twice per week. And so, back to the beginning, after giving it all I had in the way of ‘deep pressure without hurting’ – I discovered that he actually wanted me to hurt him. My client, nicely, let me know that nothing I had done so far had made much impression. The expectations had been high. It is also worth noting here that, in deep tissue or sports massage – communication is everything (unlike Swedish massage where I, and usually the client, prefer to keep quiet). He should have felt free to comment much earlier – and I should have solicited. I’m no slouch either…a mountain athlete myself with a regular workout schedule. I understand the human form – especially from an athletic perspective. I’m 6’2, 195 lbs and can deliver a good, strong massage – not often letting people down. By this time I was massaging the calves – often a tender area, especially on skiers, and there was nothing – no amount of pressure I could lay on with all of my weight – that could elicit a twitch in those tell-tale fingers or any sign of pulling away. Yet he still described having discomfort that HE thought I could address – which I could only contribute to the peroneal muscles -where, I admit, I rarely ‘go’ with clients. ‘OK – you asked for it – I thought – and went in there deep and long with the very point of my elbow and stripped like crazy. Aha – that did it! I could feel him breathing into it and enjoying the pain and, yes, relief that it gave him. This gave me confidence and much more ‘permission’ from both him and his body to go deeper to the point of pain (and – for him – relief) – which I did for the rest of his massage – including, incredibly, a strong elbowing of his biceps and triceps tendons (he had considerable tendinitis there, I think, from the TRX exercises and a hand-dragging trick in snowboarding called ‘pat-the-dog’). My experience as a massage therapist grew with that session. Beyond knowing that I had done well by receiving the biggest tip of my career, my confidence soared along with my ability to expand my offering of (very) deep tissue massage to well-tuned athletic hard-men (and women) who need it.